Our eighth bienniel Environmental History PhD workshop, held Monday 23 May to Friday 27 May, 2016. Christof Mauch’s visit, February 2016. This biennial event has been running since 2002. 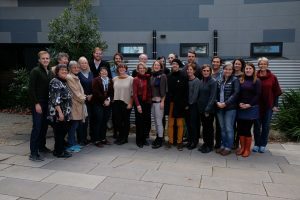 It brings 16-20 doctoral students from around Australia and New Zealand and the world for an intensive one-week teaching workshop on environmental history. The seventh workshop was held in May-June 2014. The Centre for Environmental History regularly conducts masterclasses and workshops in environmental history and non-fiction writing. 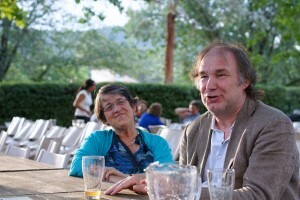 Recent masterclasses have been offered by the Canadian historical geographer Graeme Wynn and the South African historian Jane Carruthers (November 2009) and the American literary scholar Rob Nixon (May 2010). The Centre also helps to organise the annual series of Postgraduate Workshops for all students of History at ANU. These include seminars and short courses in historical method and professional skills. Recent events in this program have included a short course of Induction Workshops: Finding a Conceptual Framework led by Dr Nicholas Brown (April, 2010) and a seminar on History and Theory: How do you use theory in your work? 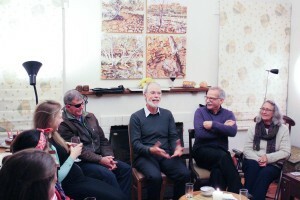 (April 2010)led by Dr Stefan Sippell (Munich), Professor Donna Merwick (Melbourne), Professor Ron Adams (La Trobe) and Professor Tom Griffiths (ANU). 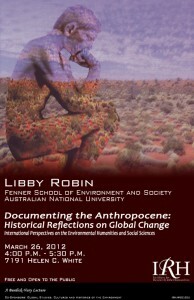 For further information on the teaching of Environmental History at ANU, go to Teaching.